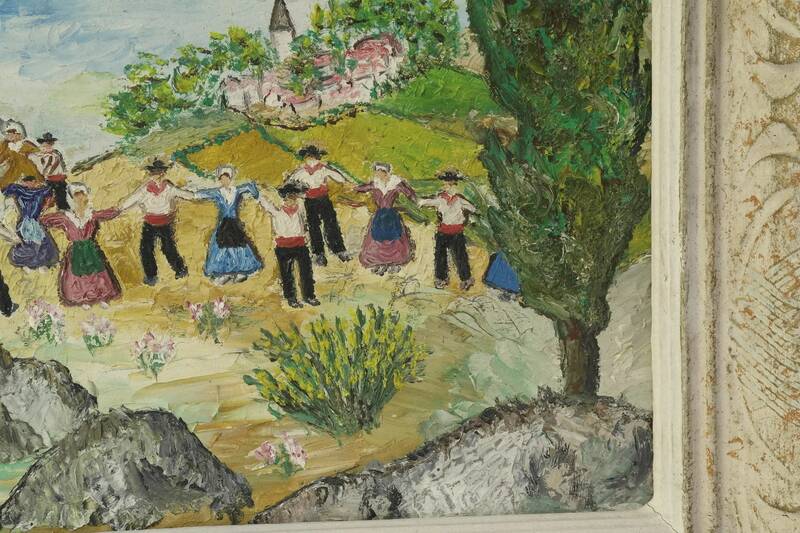 French Impressionist Painting Of Provence. 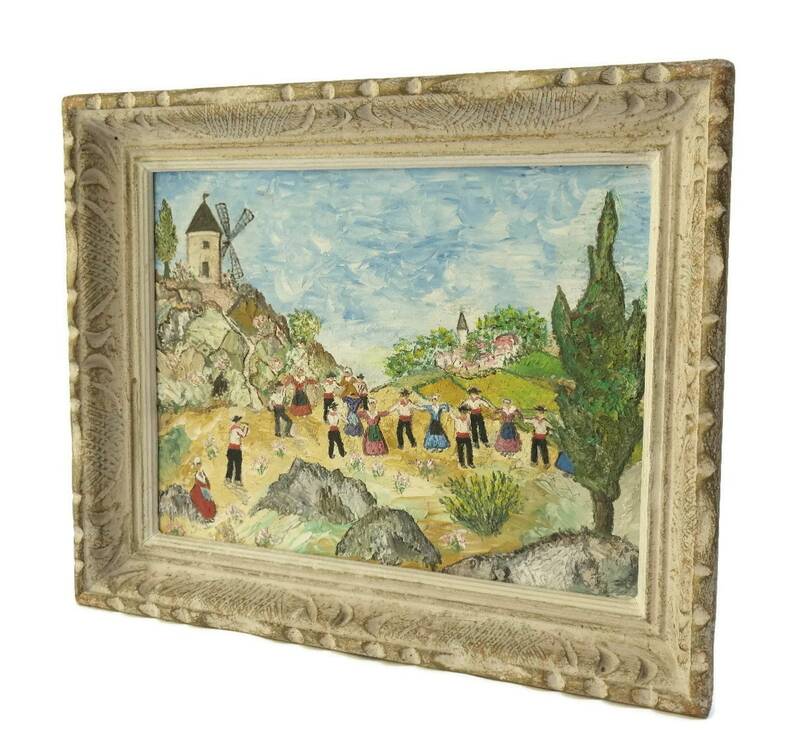 A charming vintage French Impressionist oil painting of villagers in Provence. 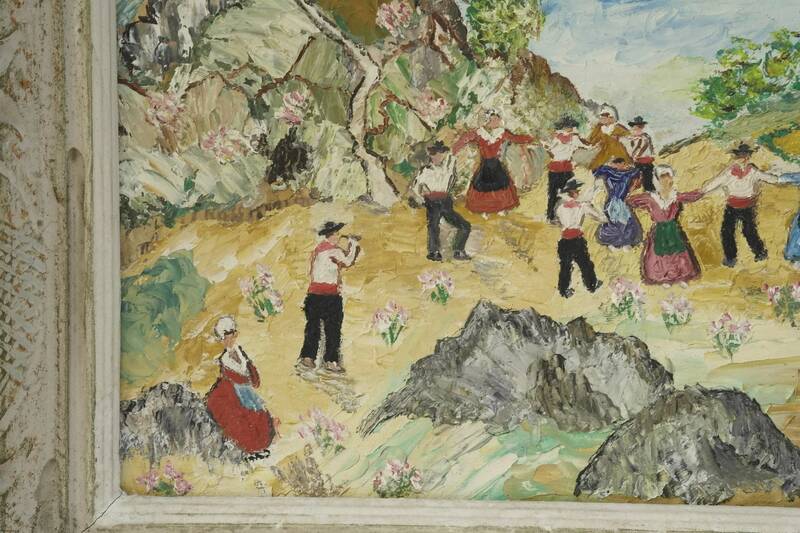 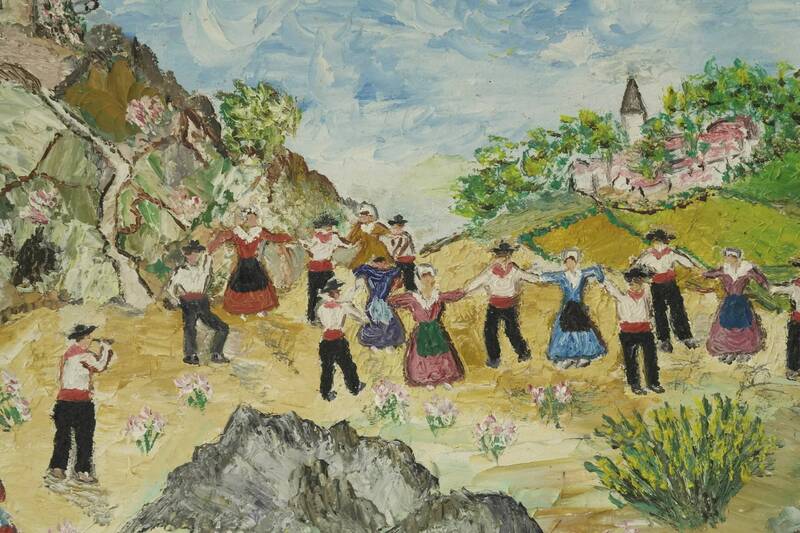 It portrays a summer scene of people dancing the Farandolle in the country dressed in traditi2.5nal costume. 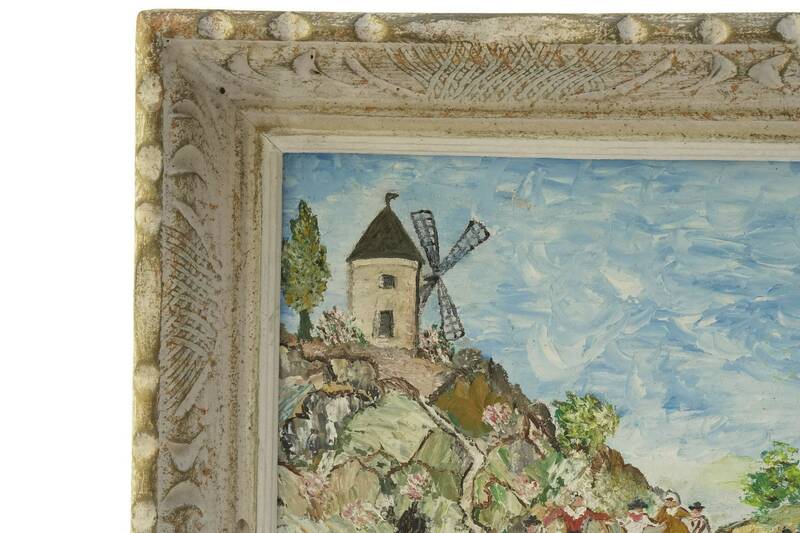 A windmill and village can be seen in the background. 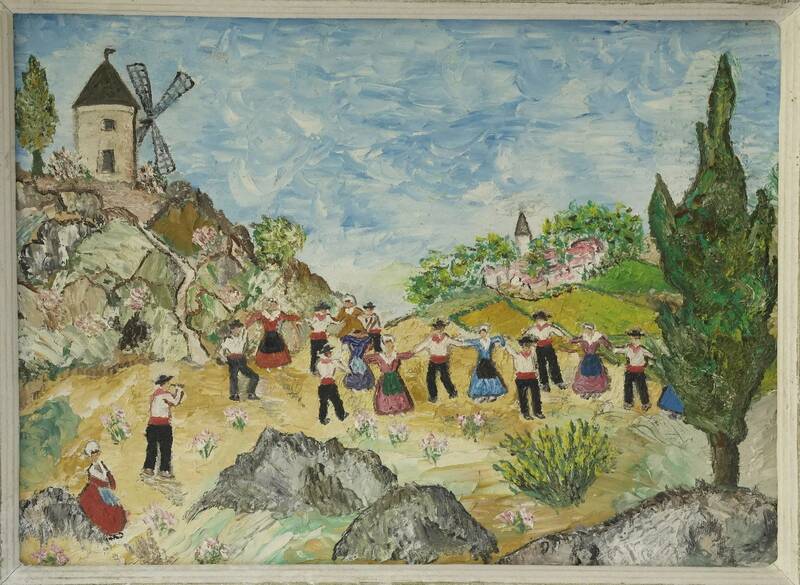 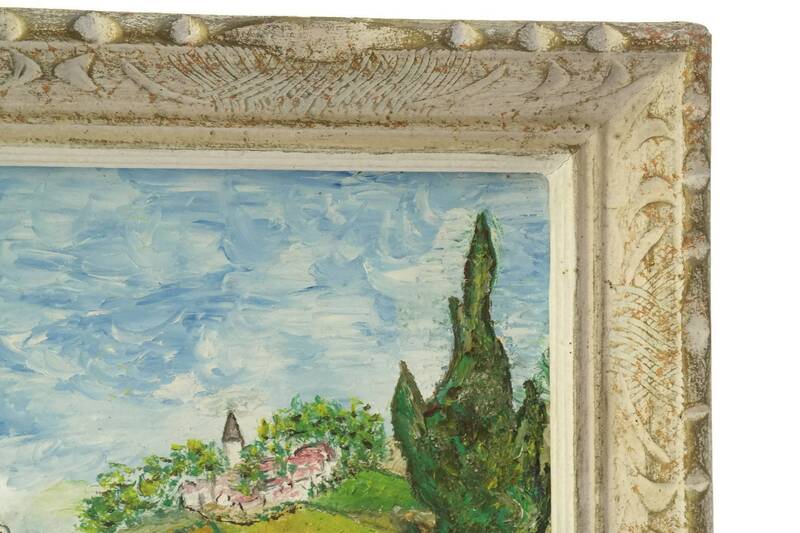 The original art has been created in oil paint on wooden board in a lovely naive style. 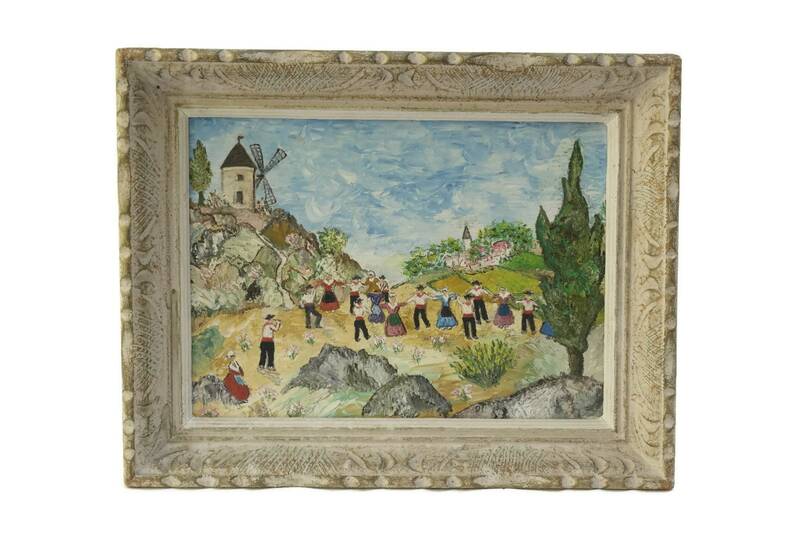 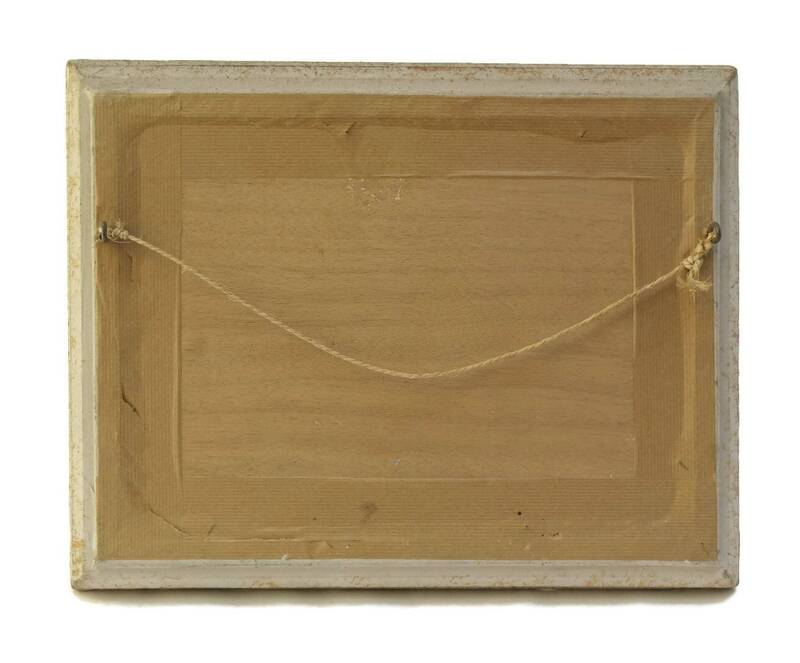 It has been framed in a decorative wooden frame and is ready for hanging. 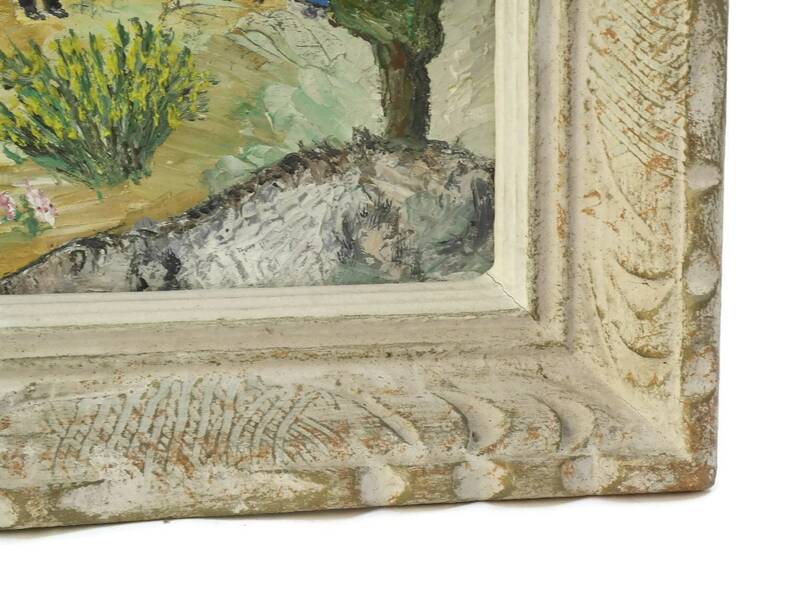 There is no visible artist's signature.